When you think about your life, hopefully dreams of a long and prosperous career come to mind. If you play your cards right, you will be able to gallivant into the sunset with a fruity drink in your hand knowing your hard work has afforded you bliss in your next stage of life. No one wants to hear the word obsolete, especially when it comes to the occupation that pays the bills. Yet, it’s probably a good idea to look at some jobs that are not expanding as much as others. With technology ever increasing and more unconventional shifts occurring in the workplace, here are some jobs that may be on the verge of extinction. With the exception of 911, of course, many phone prompts are now automated leaving less of a need for human operators. How many of us contact company call lines, insurance or even 411 and have to slowly speak our needs into the phone? Bottom line, voice recognition has taken away the need for phone operators. One has to question how much longer brick-and-mortar travel companies will be in business. Sure those who enjoy old-school methods head to a travel agent for in-person service, but the majority of us use the Internet for our needs. Companies like Orbitz and other searchable travel sites have made it easy to customize a vacation package, capitalizing on savings. Full service has practically become extinct with more people pumping their own gas. With the exception of states like New Jersey that mandate a gas attendant, you can probably expect not to see them around for much longer. Maybe this one is not so bad given all the horror stories we have heard regarding Wall Street. Internet capabilities have once again made it easier for the average person to do things on their own. This also includes managing their own money. A stock broker used to be the go-to person to handle all of your investments. They would not only make necessary transactions, but give you financial advice along the way. With so many articles and Google searches, some people are looking to save the money they would pay a broker, and do things on their own. This is a very tricky one as the postal service is a government job. You would think it would have more longevity. With that said, there has been a sharp decline over the years in the amount of in-store clerks and mail carriers. This does not even include people behind the scenes like processors that have seen pink slips. With more people reading their dailies on an e-reader, various publications have seen a sharp decline in print subscriptions. In addition, there is a lower need for newspaper delivery men and women to make their rounds in the wee hours of the morning as fewer people are reading physical papers. Biting the dust due to enhanced technology are librarians. 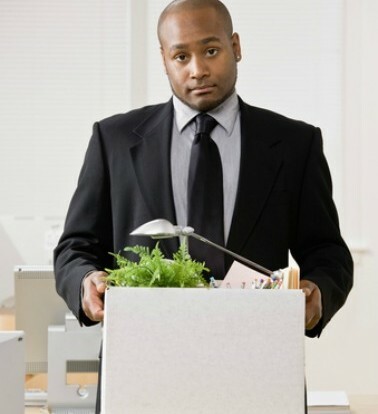 Even with their vast knowledge of books and other topics, many have received pink slips. The reason? Digital archives and the Internet require less of a need for a person to be physically present. Not to mention budget cuts that affect library facilities. This one is a little hard to believe though the writing has been on the wall. In many cases, the internet has greatly affected the concept of traditional journalism. One no longer needs a four-year degree to land a job as a writer or even a reporter. In fact, many have made careers out of blogging and publishing their own opinion pieces. The question arises – has old-school journalism been trumped? There will always be a need for good reporting, but we no longer need a reporter from a traditional media outlet to do it. A desktop publisher is someone (typically with post-secondary education) that provides layouts for a variety of sources. Back in the day, everyone from newspapers and magazines to printing firms used a knowledgeable publisher to gather up all the materials needed to create a great product. Now, companies rely on easy-to-follow software programs that enable them to do the work themselves.